Having a smartphone these days is a necessity with most of your day to day tasks being conducted through your hand held device. What was previously considered a luxurious good around a decade ago has actually become an inferior good in recent times and necessary for a lot of tasks that would otherwise consume a lot of our time, energy and resources. One might wonder what the reason is for this sudden decline in the prices of smartphones. It is not always understandable that what was a weblen good some years ago, how did it, in a few years’ time become affordable for people of all classes? And why did iPhone suddenly release the iPhone 5c at a cheaper price? The reason is simple. The smartphone industry has become a very competitive one and two major giants, Apple and Samsung are going head to head in this race to grab the greater market share and maximize profits. Apple’s release of iPhone 5s was preceded by the Samsung Galaxy s4 and for all those neutral smartphone addicts out there, it was a tough decision to select one of the two. This was actually a very difficult task and we will try to make your decision a bit easier by giving you a simple comparison between the two. If you prefer a compact design, that is, a shorter, slimmer and lighter handset, then the iPhone 5s is better for you. However, there are a lot of people out there who would prefer a bigger phone as is the trend these days; with a larger screen. For such people Samsung s4 is the better option as it has a 5 inch screen compared to iPhone 5s’ 4 inch screen. Moreover, the resolution of Samsung is also better than iPhone 5s with the former offering 1080 x 1920 pixels (approximately 441 ppi) compared to the latter’s 640 x 1136 pixels which approximately makes about 326 ppi (ppi is short for pixels per inch). When it comes to memory, the two sets are similar in the hard drive they offer with both being available with internal memory of 16, 32 and 64 GB. However, the random accessible memory or RAM as we commonly refer to it as, is 2 GB in Samsung Galaxy s4 as opposed to iPhone 5s’ 1 GB. This is an important factor in the speed and performance of your smartphone in which s4 is expected to do better. Moving on, with the revolution in taking photos whereby your smartphones have become the only cameras you use (specialized cameras are hardly purchased now! ), it is essential to know how the cameras of the two phones compare. 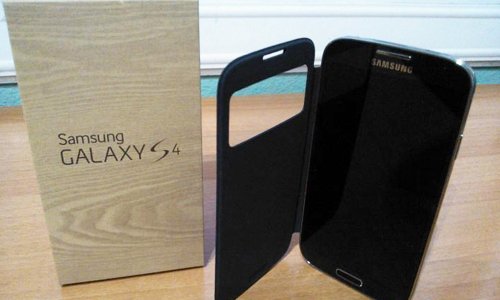 Samsung s4 has a 13 mega-pixel rear camera accompanied with a 2-mega pixel front camera. iPhone 5s, however, has an 8 MP camera together with a 1.2 MP camera in the front. Once again, for all those people who love to take pictures, Samsung s4 is what you should go for. Coming back to the speed and performance, RAM is not the only factor involved. A very important consideration in this regard would be the processor. Remarkably, the Samsung galaxy s4 has a 1.6 GHz Quad-core (1.6 x 4) whereas an iPhone 5s has a dual core of 1.3 GHz (1.3 x 2). Another difference that some of you may care about more than others is the colours in which the handset are available. You can get the iPhone 5s in space grey, silver/white and gold colours whereas the s4 is available in white frost, arctic blue, black mist and black colours. allana. "Differences between iPhone 5s and Samsung galaxy s4." DifferenceBetween.net. October 9, 2014 < http://www.differencebetween.net/object/gadgets-object/smartphones-gadgets-object/differences-between-iphone-5s-and-samsung-galaxy-s4/ >.